Buy and Download > Description The - Sump Pumps, Submersible Pumps and Bilge Pumps Basic Selection, Installation and Use Guide - gives you a thorough checklist of the important factors to consider with these pumps, their installation and operation to get a long, failure-free, low-maintenance pump operating life. This eBook has valuable information like 'solving problems with sump pump applications', including a section for each pump type on the particulars of installing a sump pump, submersible pump and the bilge pump. This guide is also helpful for well water pumping projects, septic system design and maintenance and basement pump installations. The information in this guide is based on years of practical engineering experience with pump operation, fault finding, failure analysis and pumping system design. 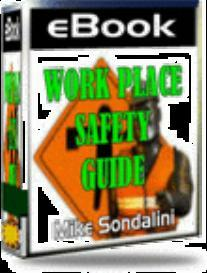 It provides you with a good checklist of what to do to get many years of trouble-free service. Use it as a means to select the right equipment and to fault-find existing equipment. 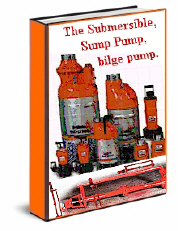 OVERVIEW OF SUMP, SUBMERSIBLE AND BILGE PUMPS. UNDERSTAND THE PUMP SERVICE DUTY, CONDITIONS AND ENVIRONMENT. SETTING-UP THE PUMP IN POSITION. DO YOU INSTALL A NON-RETURN VALVE OR NOT? TIPS FOR EASY MAINTENANCE AND REPLACEMENT. PROBLEMS WITH SUMP PUMP APPLICATIONS. PARTICULARS OF INSTALLING A BILGE PUMP. PARTICULARS OF INSTALLING A SUMP PUMP. PARTICULARS OF INSTALLING A SUBMERSIBLE PUMP.